Humans rely much on visuals in obtaining different facts on certain topics. We are familiar with several kinds of visual representations commonly used as effective tools in presenting information to people. Charts in PDF are included in the long list of such visual representations. Charts present information with the aid of graphic symbols, images, diagrams, and other visuals. And because many humans are visual learners, we learned different ways of using charts in conveying facts. 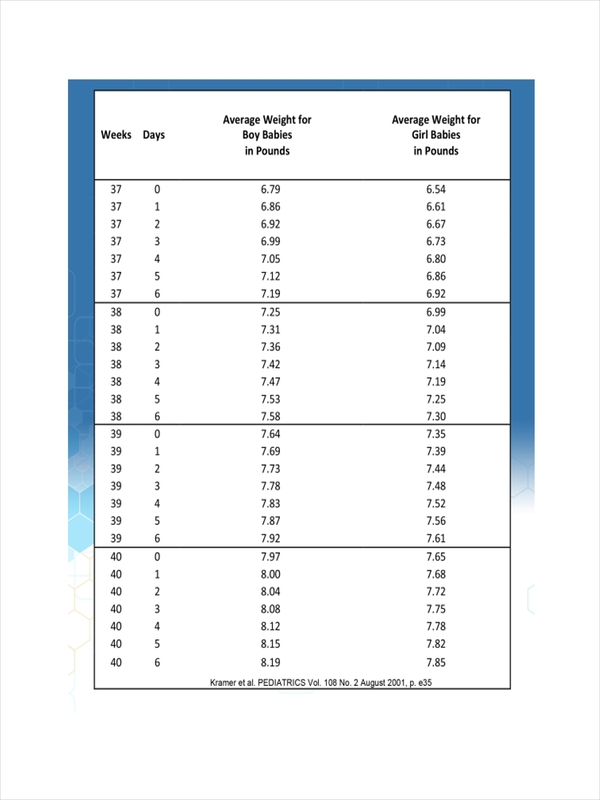 What Is a Height and Weight Chart? 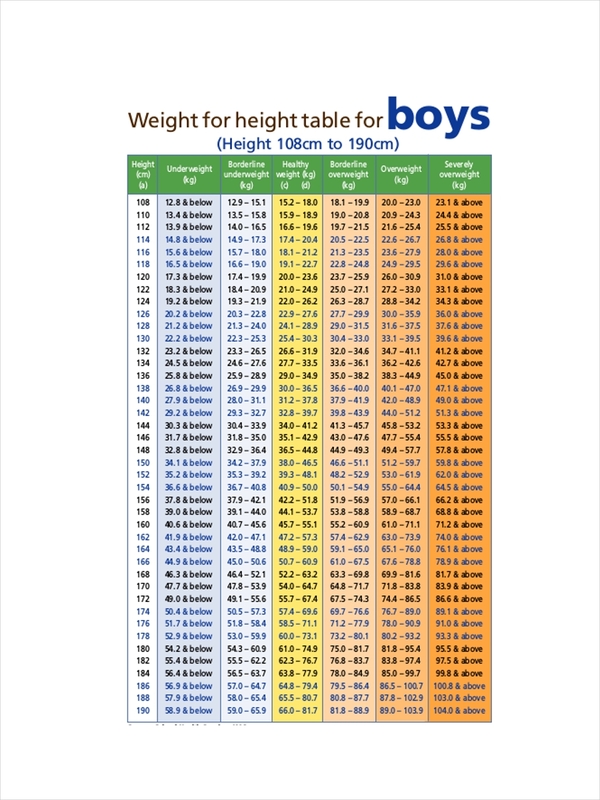 A height and weight chart is a chart which mainly presents information about height and weight. 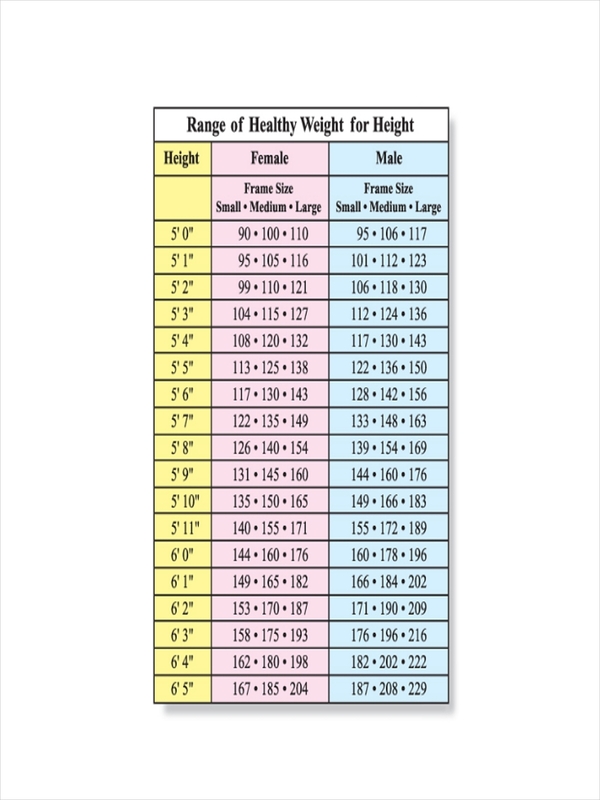 In most cases, a height and weight chart displays information on height to weight ratio, basically stating the average or healthy weight intended for a particular height (and vice versa). 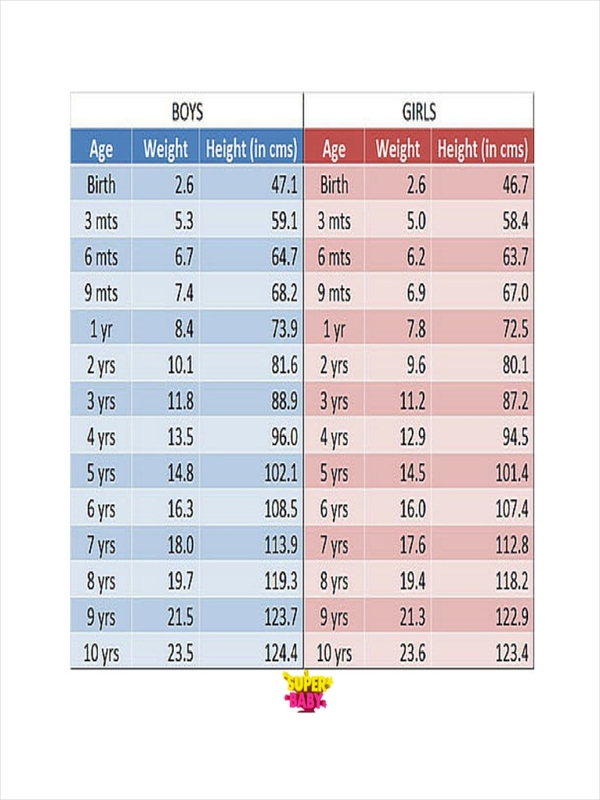 At times, a height and weight chart includes ages to indicate the right height and weight for a certain age (usually for children). 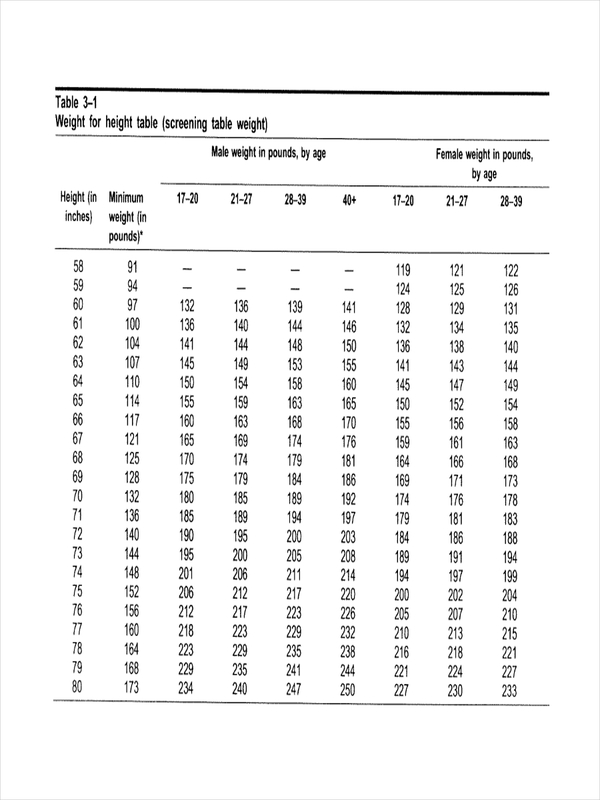 A height and weight chart, like a food chart, is an ideal tool for keeping track of an individual’s physical health. 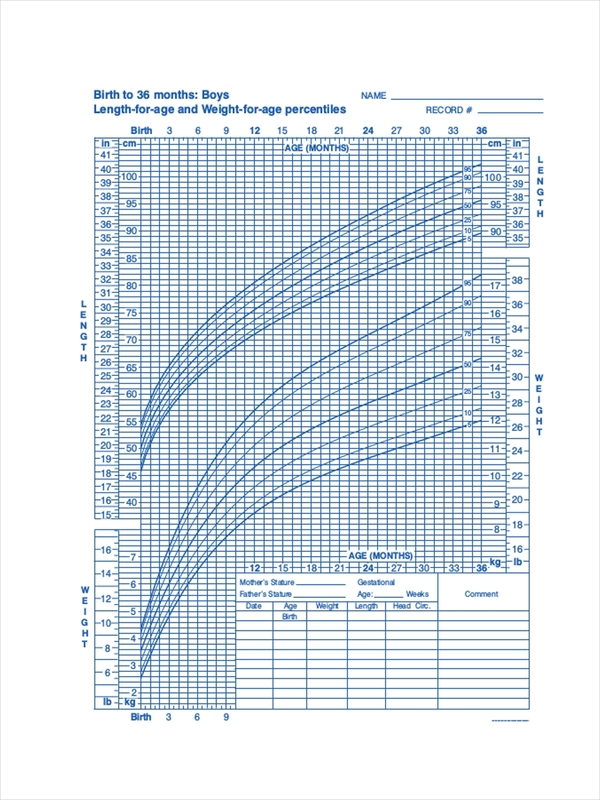 Height and weight charts are often used by parents or guardians to monitor the growth of their children. 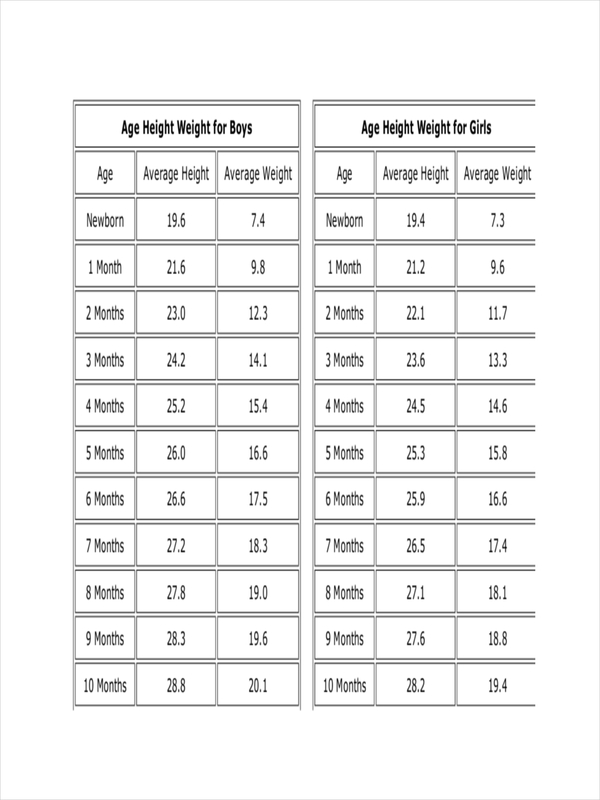 This is what they use to identify if the weight of a child is healthy for his/her height. Adults also refer to height and weight charts when maintaining a healthy weight, as this will inform an individual whether he/she is overweight or underweight for his/her height. If an individual is a little overweight for his/her height, he/she can immediately make the necessary measures to lose a few pounds to match his/her height. If one is underweight, he/she can make an effort to gain weight. However, though a height and weight chart is a reliable tool, it is always best to consult a health professional first before engaging into a change in diet or lifestyle. Have a purpose in mind. Having a purpose will give you enough motivation to accomplish your task well. Exercise strategy, perhaps? Pick a template to use or craft your own. There are several templates online which you can use, however you can also choose to create your own template. Research. Gather the data you needed for your chart. Refer to a few sources to ensure that the data you gather is accurate. Consult a health professional. Ask for their opinion on the information you have gathered online. You can also ask for their opinion on the necessary measures for those who find their weight unhealthy for their weight. Input the data you have gathered. Carefully write and organize the information you gathered. Recheck and revise your chart as needed. Before you start posting or referring to your height and weight chart, you need to recheck for errors first and polish your chart.